Terry Pratchett in his own words With a foreword by Neil Gaiman Terry Pratchett earned a place in the hearts of readers the world over with his bestselling Discworld series - but in recent years he became equally well-known as an outspoken campaigner for causes including Alzheimer's research and animal rights. 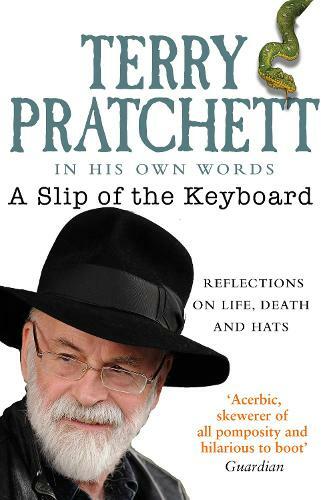 A Slip of the Keyboard brings together the best of Pratchett's non fiction writing on his life, on his work, and on the weirdness of the world: from Granny Pratchett to Gandalf's love life; from banana daiquiris to books that inspired him; from getting started as a writer to the injustices that he fought to end. With his trademark humour, humanity and unforgettable way with words, this collection offers an insight behind the scenes of Discworld into a much loved and much missed figure - man and boy, bibliophile and computer geek, champion of hats, orang-utans and the right to a good death.